‘Tis the season for scaring friends, family, and people you’ve never met before in your life (and hoping they don’t beat the crap out of you for your efforts). 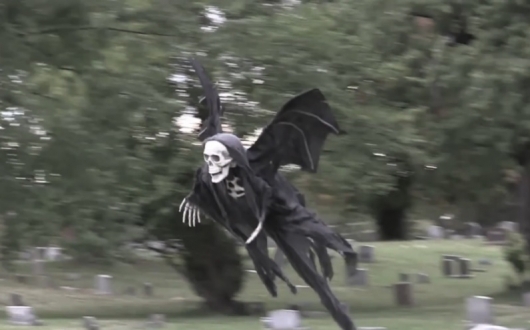 Prankster Tom Mabe had the fairly ingenious idea of combining a winged Grim Reaper prop and a remote controlled flying device to create a creepy flying reaper perfect for chasing joggers and other folks in the park. You can see the results below! How would YOU react? 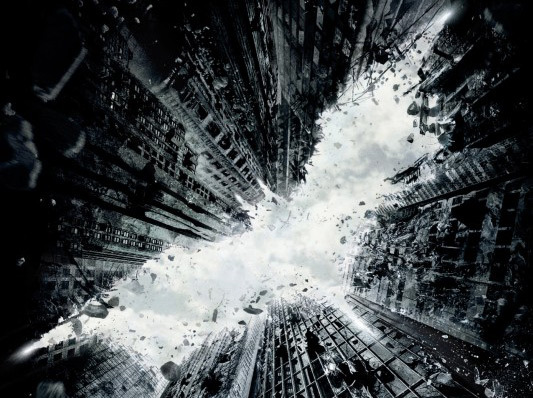 Who Is This Grim Reaper-Looking Figure On The Set Of ‘The Dark Knight Rises’? This might be absolutely nothing, but a mysterious figure all cloaked in black looking eerily similar to the Grim Reaper was spotted on the set of director Christopher Nolan‘s upcoming mega–sequel, The Dark Knight Rises. Not being very familiar with the Batman mythos, I can’t say I have even the slightest idea who this might be—it could be a certain character in costume, it could be a secret character in hiding, or it could be some random dude who likes dressing up like the Reaper, for all we know. But while I haven’t the foggiest who it might be, I know plenty of you will have ideas as to who it might be. So head on below now to check out the spy pics (be warned: they are small, low–resolution, and bunched together) and share your thoughts in the comments!